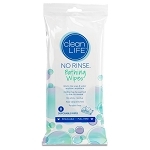 Caregiver Products that help make bathing and personal hygiene a little easier for people with Parkinson's. Although it is difficult to talk about limitations in the bathroom, being honest and open about them is the first step toward regaining independence for people with Parkinson's. 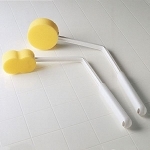 Once specific needs are clearly identified, you can probably find Parkinson's products that will make it possible to maintain your privacy in the bathroom. 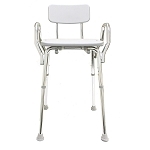 Sometimes all that is needed is a stable support rail or grab bar. 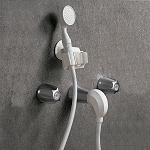 Our bathing aids can help make bathing, washing, shampooing, or cleansing you or your loved one with Parkinson's easier. 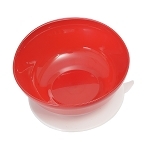 Caregiver bathing aids for people with Parkinson's including bath and shower chairs, seats and benches, waterless shampoo, body wash, elevated toilet seat and other personal hygiene aids. 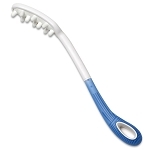 Weighted handle designed to hold a toothbrush or disposable razor. 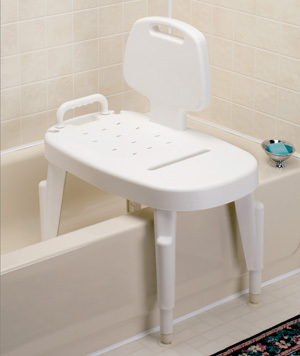 Easily folds down to provide a comfortable place to sit when showering. 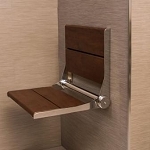 Spa inspired wooden shower seat. 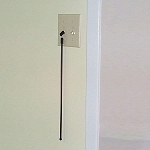 Easy to install connector that converts a tub spout to a shower. 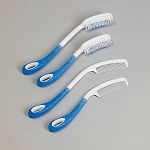 Long handles help make brushing, combing hair easier. 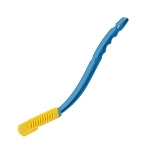 Long handle hair washing aid allows users to easily shampoo hair and massage scalp. 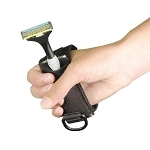 Disposable razor holder with added weight and easy to secure strap, for unsteady hands.